10th November 2018, Ayana Resort & Spa, Bali, Indonesia was the venue of the prestigious black-tie event celebrating the 12th anniversary of the World Luxury Hotel Awards. Over 360 guests flew in from around the world to attend the event, which awarded the world’s finest hotels for their luxury offerings and exceptional service delivery. After Prof. Dr. I Gede Pitana Msc. delivered his keynote speech, the incredibly entertaining Masters of Ceremonies, twins Maria and Elizabeth Rahajeng, who are TV hosts for E! 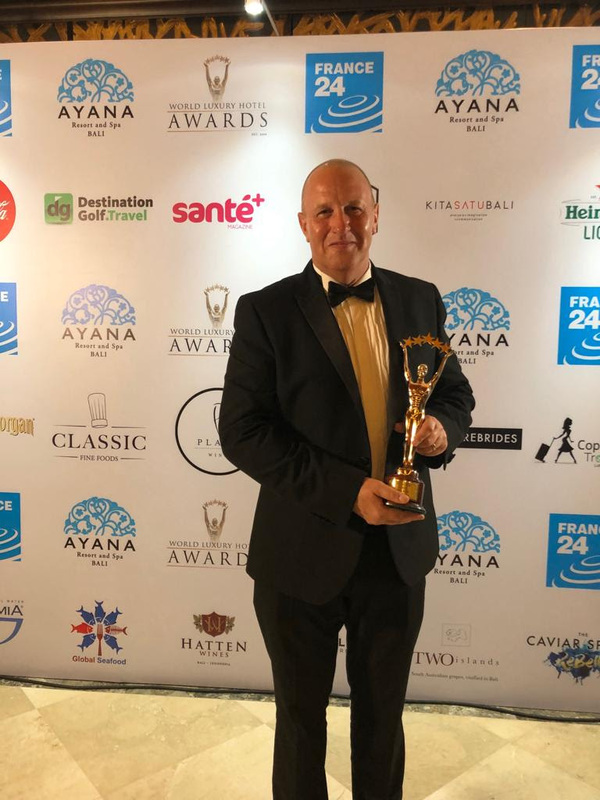 News Asia guided the audience through a dazzling awards ceremony where awards were presented to luxury hotels and resorts in over 100 categories on a Country, Regional, Continent and Global basis. Al Nakhla Residential Resort won the award for Saudi Arabia’s Leading Luxury Business Serviced Apartments. As one of the most prestigious residential resorts in Saudi Arabia, Al Nakhla has proven again that its signature service, elegant apartments & villas, and excellent facilities are very well received by its residents. The latest award adds to a collection of many other awards Al Nakhla has won from different entities this year including World Travel Awards. Al Nakhla’s graceful atmosphere creates a feeling of coming home, and becoming the Leading Luxury Business Serviced Apartment of the Year is an international recognition reflecting the work of the passionate team at Al Nakhla Residential Resort.